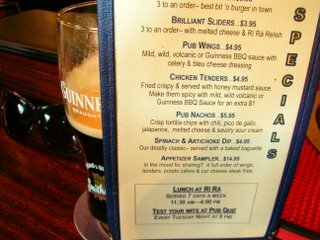 "Our Deadly Classic" might not be the best choice of words to describe the SPINACH artichoke dip, given that in the last two weeks 92 people have been hospitalized, several deaths are suspected, and 173 people have been sickened due to the E. Coli spinach outbreak. 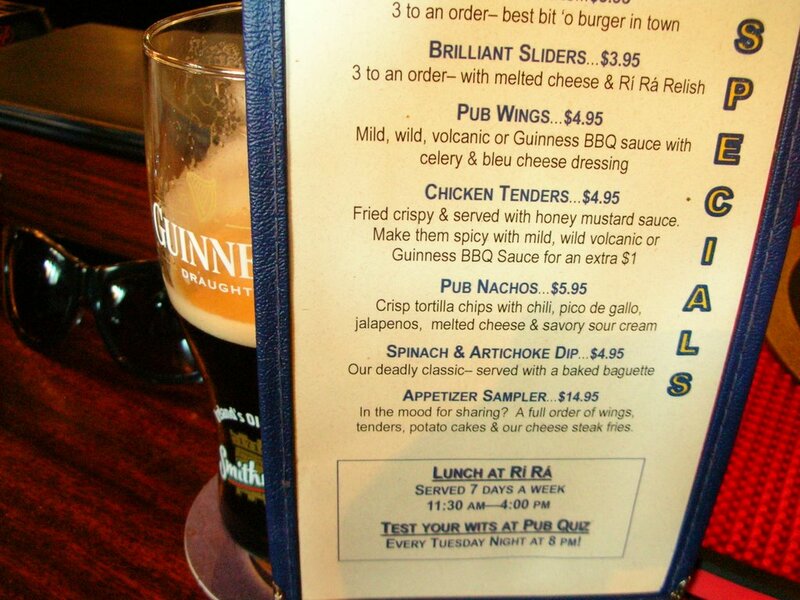 I know that this Portland, Maine pub, Ri-Ra, wrote their menu long before three counties in California's Salinas Valley started sending contaminated spinach around the country and before 25 states reported infections. hur. that's all i'm saying. you know, sometimes the obvious has to be said. just keep saying what you want to say. just make sure you come in for supper... it's getting cold.